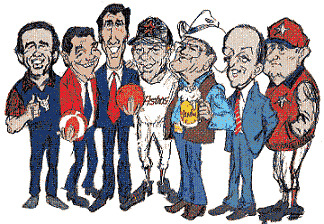 Welcome to "The Sports Bar"
Share your favorite sports quotations. Comment on the sports quotations left by other visitors of this site. Or simply read and enjoy this amazing collection of sports quotes and quotations. If you love sports quotes and love visiting sports forums, then The Sports Bar is the place to be. And remember...everyone is welcome to this sports quote forum, it's fun, it's free and there is no registration process. So what are you waiting for? Grab your favorite beverage, sit back, relax and enjoy the sports forum! Your favorite inspirational sports quote. The author of the quote. How this quote has inspired, motivated or influenced you. A picture of the author or any other inspirational sports picture (optional). Once your submission is approved, you will have your very own page on this site...very cool! Click on the links below to read the favorite inspirational sports quotes of other visitors from around the world. Even better, leave a comment on their favorite quotes.